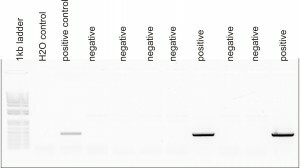 Development: The green fluorescent calcium indicator GCaMP8 was inserted at the ATG site of the SP-C gene in the BAC RP23-247J9 (CHORI) through homologous recombination. The resulting recombinant BAC was injected into the male pronucleus of fertilized oocytes which were then implanted into pseudo pregnant females. Resulting offspring were screened for the presence of the transgene (founders). Colonies were established from each founder and tested for expression. Description: The genetically encoded calcium indicator GCaMP8 is expressed under control of the SP-C promoter, directing expression to type II alveolar epithelial cells in the lung. GCaMP8 responds to calcium levels in the cell. When calcium increases, a conformation change occurs resulting in an increase in fluorescence. When calcium decreases, fluorescence decreases. This mouse is useful for examining calcium signaling in type II alveolar cells. So as to appropriately acknowledge and credit the scientists who have produced the SP-C-GCaMP8 mouse strain, it is expected that you will include these individuals in any publication that is submitted prior to the initial publication of this line from the Kotlikoff laboratory. The mouse strain SP-C-GCaMP8 was developed by CHROMusTM which is supported by the National Heart Lung Blood Institute of the National Institute of Health under award number R24HL120847.